Hi, guys! I’m excited to be focusing on a cool, must-have accessory from a place I can’t stop raving about. This great Small Field Messenger bag from rag & bone is in the spotlight today. You all know how big a fan I am of rag & bone – their pieces are always of top-notch quality and so versatile. They’ve really got the “cool kid,” effortless vibe down to a science. 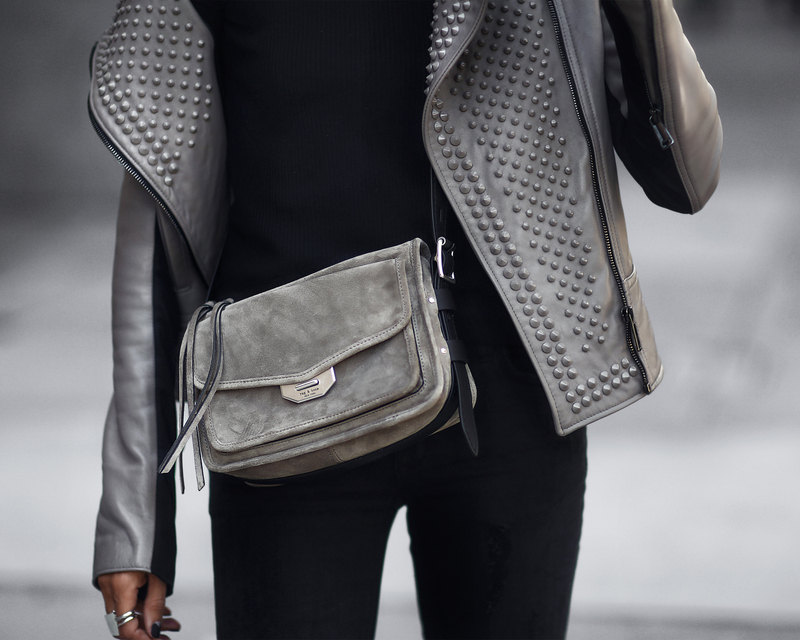 This crossbody bag is amazing for so many reasons. First of all, the crossbody style is a classic that can transition flawlessly from running errands to a night out with friends. This one is the perfect size for throwing in all your smaller essential items. The front flap is incredibly handy for carrying your mobile phone and I love that it makes accessing the phone so easy (no unzipping required)! The genuine suede adds texture and interest to any outfit, and it’s totally on trend for fall. The neutral color goes with anything – warm grey is a tough tone to clash with! This bag is one that you can use every day, for everything you have going on. I have to also talk about these incredible patent leather booties, which are also from rag & bone. These are absolutely sleek statement makers while also being practical. Special thanks to rag & bone for partnering on this post.